As we enter 2019, consumer packaged goods (CPG) companies are feeling the weight of far-reaching consumer trends and are struggling to implement the right strategy to connect with millennials and online consumers. The legwork on implementing a brand strategy is daunting, as companies consider product design, manufacturing, supply chain challenges and, of course, consumer preferences. 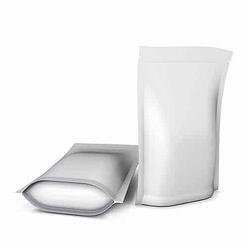 One trend emerging in the flexible packaging space is the move towards stand-up pouches (SUP) in some CPG channels and its effect on demand for pillow pack formats. That's excellent news for SUP but lying underneath the surface is the overall trend of CPGs moving away from rigid containers and embracing all forms of flexible formats. 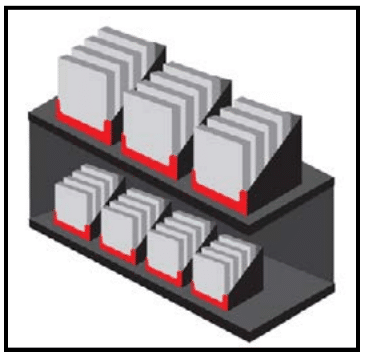 In covering system software solutions for many food and automation magazines, this move to flexible packaging dovetails with recent initiatives by enterprises to find more efficiencies via system integration, which includes packaging design, packaging lines and supply chain challenges. The Harris Poll from 2017 also shows that lowered production costs and supply chain efficiencies are the top two reasons for the move away from rigid to flexible. As larger companies bring in new products, many retailers are also providing help with packaging requirements. In a recent Rovema blog post on SUP solutions, Walmart and Kroger now provide CPG guidelines for shelf-ready packaging (SRP) or “pretty darn quick (PDQ),” as a Walmart executive calls it. Plus, club store business models are also exploring easy ways to stock graphic-appealing displays for end caps and pallet wraps, such as SUP products. Currently, stand-up pouches (SUPs) are finding room on club store shelves with premium products, such as a Lindt’s chocolate or Justin’s chocolate, while large pillow packs for potato chips continue to find a home on corrugated shelves in Sams Club and Costco. The challenge in the club store channel also illustrates just how many sales channels there are in today’s consumer landscape. Products now need to be tested for retail, grocery, club, online and home delivery channels. And, CPG cultures tend to be more resistant to move away from rigid packaging successes. According to Mark Moorhead, market director, Bemis in a recent Packaging Strategies article, “Large brands are a little more reluctant to switch over to new packaging formats because of their infrastructure of canning or bottling. It becomes difficult for them to consider transitioning. Whereas the emerging brands may start immediately in a pouch format and not even consider a can or a bottle. While packaging is a crucial decision, so is manufacturing for newly acquired start-ups or small volume production. The challenge, known as Lot size 1, refers to a small quantity of goods ordered for delivery on a specific date or manufactured in a single production run. To help with these challenges, automation companies are providing “digital twins” of packaging machines and production lines to help end users understand their current assets immediately and in the process make quicker decisions on production. Mynah Technologies, a part of Emerson, and Siemens’ Mindsphere are examples of digital twin platforms being used now by end user companies. Some of these platforms integrate all phases of the product lifecycle, such as product generation, manufacturing, supply chain, distribution and customer feedback, to accelerate market arrival and find enterprise efficiencies. As companies look for efficiencies, many food producers are favoring SUP. According to a Global Packaging Trends 2018 study, “Consumers have shown time and again that they prefer the ability of flexible packaging to deliver the message of a brand. The bright graphics, clear windows or matte finishes, extensive functionality, and ease of incorporating active and intelligent features into pouches, in particular, are used to convey clear messages about the products inside. Also, developments in film properties are providing robust protection for the product inside SUP and at a low cost. For years, pillow packaging was the choice for many snack products due to the proven characteristics of foil-based film. So what’s the prognosis? SUP is growing and this packaging format is still quite attractive for retail stores, but pillow packs should have traction with smaller snack companies’ quirky new snacks.